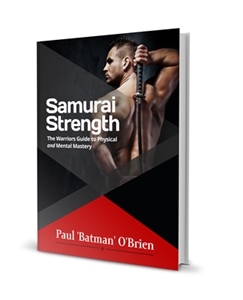 The Complete Guide to Choosing the Right Samurai Sword"
In my own personal experience I find the shigeuchi style, while extremely pretty, frays very quickly. As such, for those more practically minded the kakucho is a far better choice for functional sageo. In addition, if you keep a close eye out, you can occasionally find traditional manufacturers of this style of sageo in Japan who have maintained their family's craft. Their sageo are both beautiful and resistant to wear. There are many stories concerning sageo and ito colour in regard to rank etc. Today these don't have much impact and the historical veracity of such can claims can be disputed. However I would mention one thing. As you'll see later when discussing the tsuka-ito (...in the Sensei's Sword), by 1645 the Tokugawa shogunate had laid out specific choices for the tsuka-ito. It was black. That was it. Some samurai tried to get around this by using a very dark blue/navy or very dark brown instead. The sageo should of course match this colour. As such, most standard sageo are black. It is generally good form for the sageo colour to match the tsuka-ito colour (handle wrap), and thus I generally use a black one as that matches my tsuka-ito. However for formal occasions, embu (demonstrations etc I wear a sageo that matches the colours of my dojo's mon. 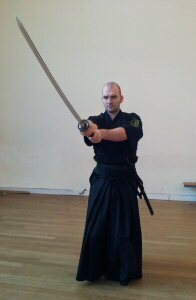 Within the Japanese sword arts there are various ways of securing, or not securing the sageo to you during training. In fact, if one is familiar with the different knotting methods one easily identify the school and lineage one belongs too. For instance, in the Musō Jikiden Eishin Ryū we tie the sageo on the over the saya and on the left side himo band. Muso Shinden Ryū by contrast tie their sageo on across the body on the right hand side himo band. Within the Tosa-Ota ha Ryū of MJER under Tsugiyoshi Ota Sensei they simply drape the sageo over the saya. 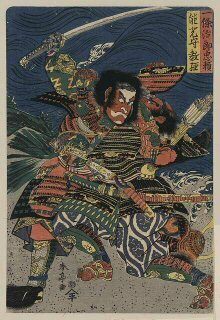 Within the Yamauchi-ha tradition of Musō Jikiden Eishin Ryū the recount that higher ranked samurai simply let the sageo drape of the saya and lower ranked samurai tied it on to the himo. As for tying the sageo on to the hakama itself within the various ryū there were also additional methods on how to tie a sageo to secure a blade for different situations. 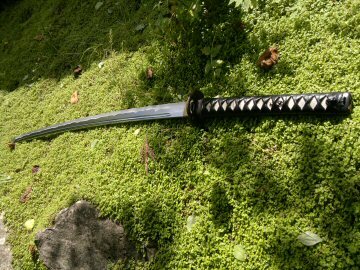 For instance in certain cases (such as riding on horseback or firing a long gun) it was necessary to tie a katana on in the manner of tachi, e.g. cutting edge down and suspended from the obi as opposed to being placed through it. Using the sageo to secure the blade in this fashion is known as "tenshinzashi". Many schools sadly dismiss the importance of the sageo, the methods of how to tie a sageo, or prescribe it no importance within their Ryū. And this is a great shame. 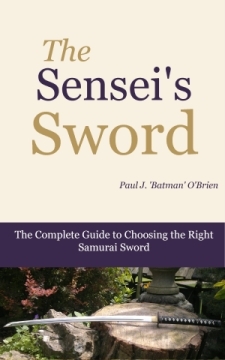 "The practice seen among some high-ranking instructors not to fit sageo at all is undesirable from the point of view etiquette and expressing the correct respect toward the sword fittings and is a most idiotic idea. I would earnestly caution against it". The sageo is of great importance both practically and spiritually to the Musō Jikiden Eishin Ryū Ryū student. Within Japanese tradition every physical tool, be it a needle, thread, axe, sword knife, hammer etc has an intrinsic spirit. This is a reflection of the long held Shinto beliefs of Japan. Everyday objects are not just every day, they do in fact hold special significance. In fact there is a religious festival to give thanks to broken pins and needles. Thus the sageo for the MJER student is not just a cord, but a sacred cord connecting them to the tool by which they shall perfect their character. The sageo enshrines the same spiritual functions and thus is of great importance. There are of course practical considerations for the sageo too within the Musō Jikiden Eishin Ryū...a particular oku iai teaching known poetically in English as "Searching in Hell" makes use of the sageo during low light or no light confrontations. 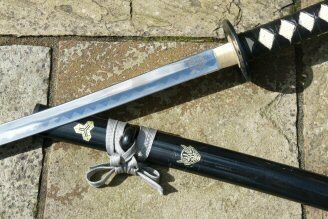 And there methods for tying the katana edge downwards in the style of a tachi using the sageo as well as methods for securing the katana to the uwaobi while wearing armour. In addition specific Ryū-ha also contained specific how to tie a sageo techniques referred to in the Bansensūkai as, 'sageo rikata shichi no jutsu', or the seven sageo rope tying methods. These include techniques for using the saya and the sageo to scale as wall (tsurigatana no hō, "hanging/fishing sword way"), methods of tying the saego to another sword and sleeping arrangement so as to prevent theft (tabimakura no hō, "travel pillow way"). One can also make use of the sageo in a number of other methods, for instance when entering a room...within the Musō Jikiden Eishin Ryū we have several specific waza termed "mon-iri" (門入) ("entering a gate") that cover these methods, including slinging the daito over the shoulder using the sageo and even the sahō (preparation)for going to a public bathroom utilises the sageo in surprising fashion. Although rare, there are methods on how to tie a sageo s that it can be used for Hojōjutsu (捕縄術) or Nawajutsu, (縄術) to secure a prisoner with makeshift rope handcuffs. In fact some specific schools such as Enshin Ryū actually incorporate the removal of the sageo from the saya as part of their sahō (preparation). Within the how to tie a sageo method of thier style, they then gather this up and place it the sode (sleeves) in such a way that they can quickly access it to restrain an individual. Additionally it can be also used as a tasuki (たすき; 襷; 繦; 手繦). Though many seem to be unaware that tying the sleeves back in such a manner, originated from the proper sacred form for making an offering to the kami (Shinto spirits). "The braided cord (sageo) should be of a standard length (approximately 165 centimetres), flexible soft, and of a color that matches or blends well with the color of the scabbard." Interesting, traditionally in the Edo period, the sageo would measure about 160-166cms. All Japan Swordsmith Association; Introduction to the Japanese Sword through Pictures, Vol 1. Mol, Serge; Classical Swordsmanship of Japan; A Comprehensive Guide to Kenjutsu and Iaijutsu, Eibusha, 2010. 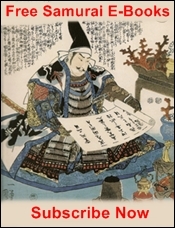 Taisaburo, Nakamura; The Spirit and the Sword, Blue Snake Books, 2003.